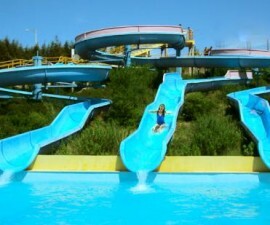 The Aquapark Teimoso forms part of a large hotel, restaurant and water park complex in Figueira da Foz on the North East coast of Portugal. The park is open throughout the summer season to paying day visitors and entry is free to guests staying in the hotel or dining in its restaurant. 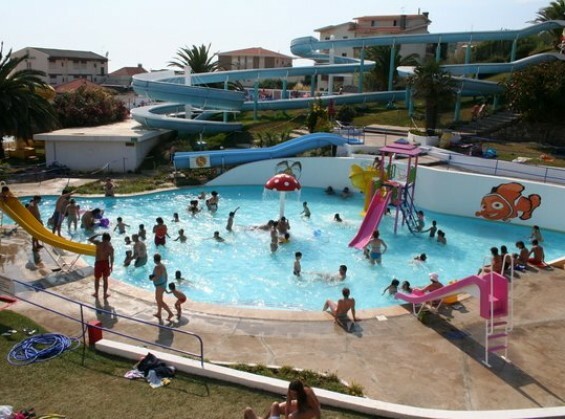 The park is centred around a large swimming pool measuring 20 metres by 10 metres which offers plenty of room for visitors to swim a few gentle lengths or simply splash around with their families. Whilst it may not match some of the large-scale parks of the Algarve in terms of its installations, crowds are smaller, queues are shorter and there is still much fun to be had. 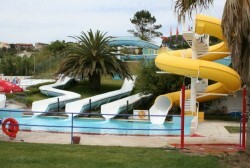 Three slides loop and snake their way down to converge at the base pool, while close by is the curling tube ride is dark and fast enough to get most visitors’ adrenalin going. 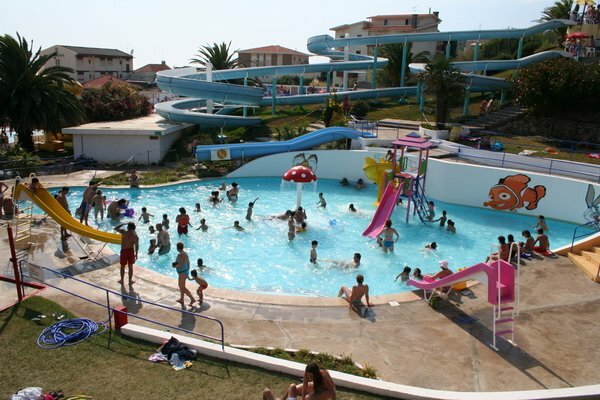 Aquapark Teimoso is well geared up for children and has a dedicated children´s water play park. Here they can go up and down the slide tower and two open slides to their heart’s content, getting in training for future years when they will be able to test their nerves on the real thing. 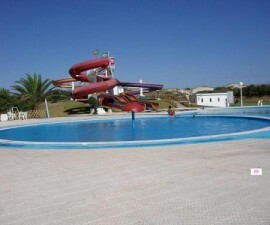 The children´s pool is suitably shallow to allow for fun and safe bathing. All pool areas are monitored by lifeguards and a first aid post with a trained nurse is open throughout the park´s opening hours. The park is set in wide lawns dotted with palms and sunshades where visitors can take refuge from the sun during the hottest hours of the day on one of the many sun loungers. For a break from the water there are several leisure areas with video games that will appeal to all ages and a bar-restaurant serving snacks and refreshments to keep the hunger pangs at bay. The park is well served by rest rooms and changing facilities and provides facilities for storing valuables safely. Should guests forget any key items, there is also a small shop on site where they can buy supplies such as swimwear and sun protection. If you intend to stay in the area it is well worth considering lodging in the hotel itself, especially if you have children who would make good use of the waterpark facilities. The rooms are well equipped and the restaurant has a good reputation. All in all the Hotel and Aquapark Teimoso makes a good jumping-off point for exploring the local area.